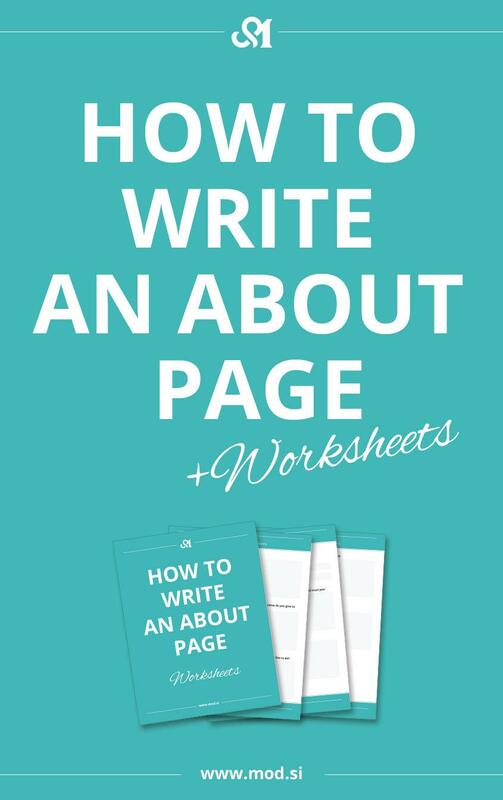 About page is an important part of your blog or web page. The visitors that click on your about page is interested to know more about you and need a reason why they should stick around. So don’t let them down. I will guide you how you can create your about page, what to include. 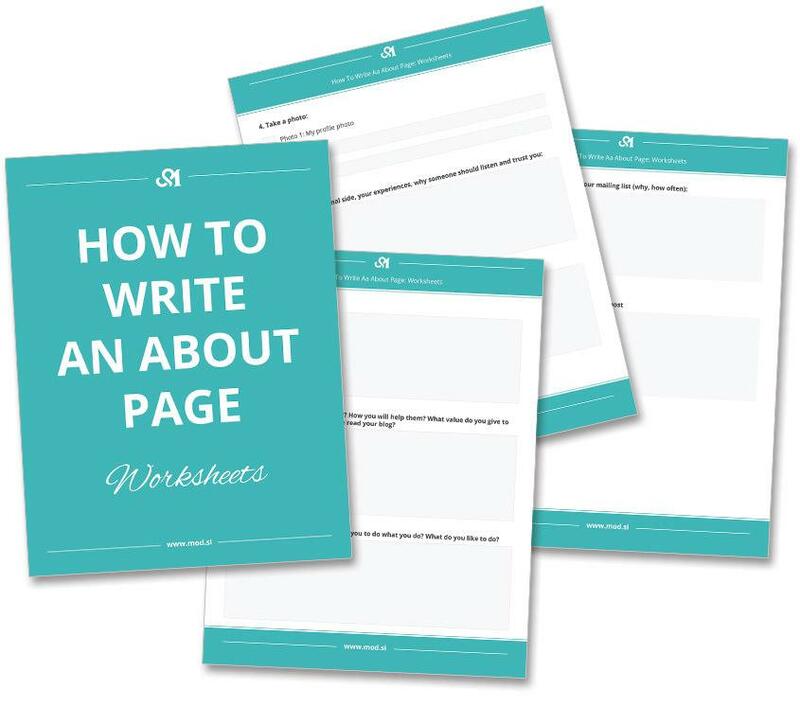 After answering all questions and fill in freebie you should have a great About page (or at least great start). 1 | Say hello and introduce yourself. First is nice to say hello and introduce yourself. It can be short and sweet. Example: Hi, my name is Maja. , how you will help them, what value do you give to your readers, why should someone read your blog? It can be done in one or two sentences. 3 | Tell something about yourself. Something interesting. What’re your hobbies, what inspire you to do what you do, what you like… Try not to be boring. 🙂 Try to be your own reader and think what they will be interested to read. 4 | Take a photo or two. Include one to three relevant and high-quality photos throughout the page. You should be on at least one. That will also help your reader connect with you even more. , your experiences, why someone should listen and trust you. Something like your personal bio as it relates to your blog. Use short, engaging stories to sum up your background in a memorable way. 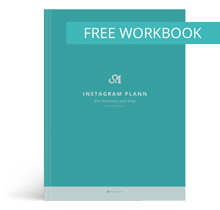 6 | Invite readers to connect with you on social media. Stay connected and build your community can be really great and engaging. When you ned opinion you can ask them there, or have something else to say. But suggest only social media accounts you use daily. Its best to say let’s connect on Instagram (only) than on other inactive accounts. 7 | Invite reader to subscribe to your mailing list. You should explain why they should subscribe (e.g. not to miss next post, you offer them something…) and how often they will get an email (e.g weekly. This can be done elegantly. Example: Get weekly news how to stay more organized. Obviously, the visitor that come to the end likes you and find something interesting. Great! You did a great yob! Now you should invite them to browse your page, even more. Suggest what they can check next. Now you have a great about page! Signing up will also give you access to all my others freebies. If you will update your about page, please share it with us in the comment section below. Thank you for good information! I already have a Facebook page. So it must be useful for that! Great post. Now I’m thinking about re-writing my about me section. I probably should add in what I do for a living by day. Thanks for the insightful information! Great list! It’s so important to connect personally with our people. Keep up the great work and live unstoppable!